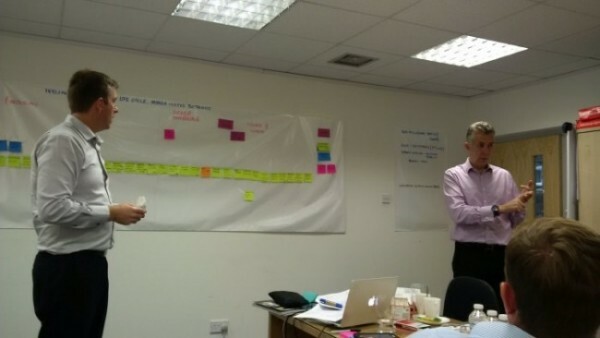 TXM UK Senior Consultant, Tim Scurlock (right) on TXM Director, Anthony Clyne (right) facilitate the Ivyline team through day one of their value stream mapping process. TXM run literally hundreds of Lean workshops every year, but it is rare to get a detailed review of one of our workshops from the customer perspective. Therefore we were very excited when Rolf Tennant from Ivyline in Coventry, UK posted this LinkedIN review of his experience of a TXM value stream mapping Lean workshop. Ivyline is an innovative supplier of high quality lifestyle products for home and garden including decorative planters, candles, lamps and other decorative objects. Ivyline supply leading UK retailers a wide range of branded and bespoke items sourced from quality suppliers around the world. 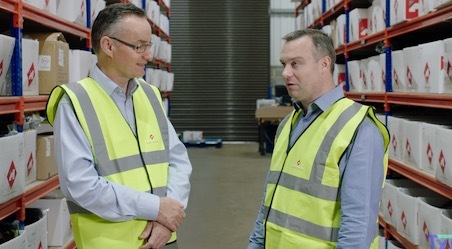 TXM UK Senior Consultant, Tim Scurlock, and TXM Consulting Director, Anthony Clyne spent two days at Ivyline mapping the end to end supply chain from suppliers in Asia to customers across the UK. The aim of the process is to further streamline the Ivyline supply chain to enable the business to offer even better service to its customers. Ivyline is one of over 30 companies across the UK who are working with TXM to improve their business performance using Lean Thinking.